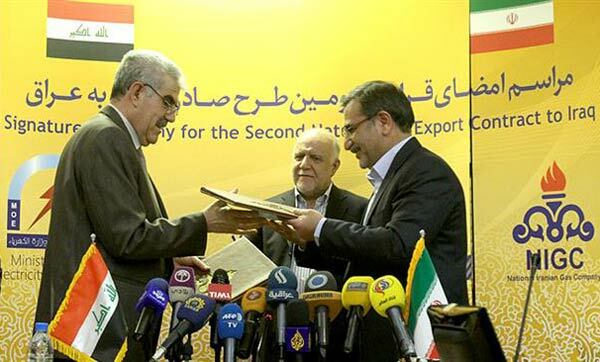 Iran has signed a new contract with Iraq to export natural gas to the country's southern port city of Basra. Based on the contract, Iran will pipe a daily of 20-25 million cubic meters (mcm/d) of gas for Basra for a period of six years. The supply - that will increase to 45-60 mcm/d in a later stage - will be used to feed the main power plant of the city. Exports will start with an initial supply of 7 mcm/d for three years and will then increase to the target volume. Hamid-Reza Araghi, the managing director of the National Iranian Gas Company (NIGC), has told the media that the price of the gas that Iran will pipe to Basra will be the same price for the gas that will be sent to Baghdad under an earlier deal. Araghi emphasized that the pricing formula for both projects is confidential. Nevertheless, he emphasized that the formula is different from Iran's other gas export plans to Turkey and Pakistan which are based on crude oil prices. The official said the construction of a pipeline to Basra will require an investment of about $2.3 billion, adding that the project will be ready before May 2016 . He said that Iraq will base on a deal with Iran open a Letter of Credit (L/C) for purchasing the Iranian gas. If Iraq fails to open the L/C, there will be no gas to be exported, Araghi emphasized. In 2013, Iran and Iraq signed a deal over the exports of natural gas from South Pars energy hub to Baghdad. Based on the agreement, 25 mcm of gas will be delivered to Sadr, Baghdad and al-Mansouryah power plants through a 270-kilometer pipeline. The project is estimated to earn Iran $3.7 billion a year in revenues. The project has been long in the offing but had been delayed over what officials in Tehran have cited as security concerns resulting from the war of insurgency that the ISIL terrorists have waged in Iraq. TEHRAN - Iran has started studies on building a pipeline intended for exporting natural gas to Oman, the Mehr News Agency reported on Wednesday quoting National Iranian Gas Company (NIGC) Managing Director Hamidreza Araqi as saying. 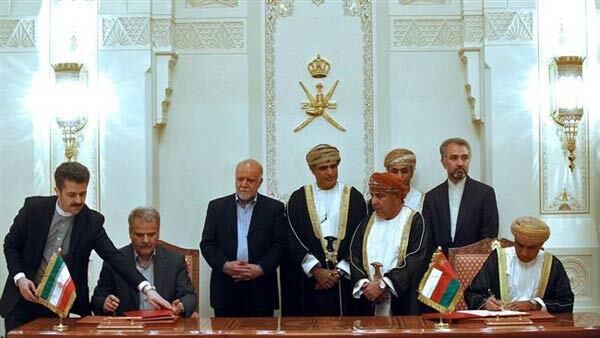 In March 2014, Iran and Oman signed a memorandum of understanding under which Iran will supply Oman with 10 billion cubic meters of natural gas per year in a 25-year deal valued at around $60 billion. A 260-km pipeline to transfer Iranian gas to Oman is expected to come on stream within three years. The proposed pipeline is projected to transfer natural gas from Iran's South Pars gas field to Oman's Sohar port. In this regards, Iranian Offshore Engineering and Construction Company (IOEC) was selected to conduct onshore study of the project. The related deal was signed by National Iranian Gas Exports Company's Managing Director Alireza Kameli, IOEC's Managing Director Gholamreza Manouchehri and Saif Bin Hamad Al Salmani, the director general of planning and projects evaluation in Oman's Ministry of Oil and Gas. Also, Pars Consulting Engineering Company was selected to conduct onshore study of the project. The related deal was signed by the managing director of company and Kameli. Kameli said the onshore study and offshore study of the project are scheduled to be completed by six months and five months, respectively. Iran, which sits on the world's largest gas reserves, intends to enhance gas production by increasing foreign and domestic investment, especially in its South Pars gas field. South Pars gas field in the Persian Gulf is estimated to contain a significant amount of natural gas, accounting for about eight percent of the world's reserves, and approximately 18 billion barrels of condensate.